Cool! 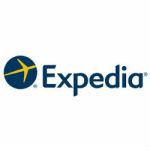 Save an average of 20% on Expedia with 7 Coupon Codes, and 21 Deals! Plan your next getaway or business trip easily and efficiently. As one of the world's leading travel companies, Expedia provides information and discounts on hotels, airfare, car rentals, cruises and more. Get an even bigger discount when you book a special vacation package that includes your flight and hotel. Use the Expedia coupon codes below to save even more off your next getaway. Details & Exclusions: Receive an instant $100 discount off a flight + hotel package for four or more consecutive nights. Some exclusions apply. Book by 3/23/14. Tavel By 12/31/14. Exclusions: Coupon must be redeemed on Expedia.com by 11:59 PM (Pacific Time) on March 23, 2014, for travel between now through December 31, 2014. Limited time offer: subject to change. Limit one (1) coupon per user account and per qualifying package booking. This offer is from Expedia.com and is valid for Expedia.com U.S. customers only. Bookings are subject to availability at Expedia Rate hotels at the time of booking and all applicable terms and conditions. Coupon may not be used with other coupons, promotions or special offers. Coupon discount cannot be applied against taxes, supplier-charged fees, cancellation or change penalties, administrative fees or other miscellaneous charges, which are the sole responsibility of the customer. A coupon will be deemed fully used once a qualifying booking has been made and may not be reused. In the event that you change or cancel any part of your booking, the coupon will not apply to the changed travel schedule. Terms and conditions of this coupon are as written and cannot be changed by any representation of any unauthorized person, including employees of Expedia, Inc. Coupon is not transferable and is not redeemable for cash. Void where prohibited by law. Expedia, Inc. may revoke or change this offer at any time. Details & Exclusions: Extra $200 off $2000+ ASAP Package. Ends 11/28/2013, 2:00 AM CST Exclusions: Coupons must be redeemed on Expedia.com by 11:59 PM Pacific Time on December 1, 2013. If you receive an error message or are unsuccessful in applying the coupon code, the promotional code has expired. Please be sure you are using the most up–to–date coupon code on the Expedia ASAP® page. Qualifying Expedia ASAP® hotels will be identified on the Expedia ASAP® page as "Featured Hotel Offers" and "More Daily Hotel Deals", starting at 12:00 AM Pacific Time on November 25, 2013. The price of the qualifying hotel booking must be at least $200 before taxes and fees. Qualifying Expedia ASAP® vacation packages will be identified on the Expedia ASAP® page as "Featured Package Offers" and "More Package Daily Deals", starting at 12:00 AM Pacific Time on November 25, 2013. The price of the qualifying air+hotel package booking must be at least $2000 before taxes and fees. Limit one (1) coupon per user account and per qualifying hotel or flight+hotel package booking. This offer is from Expedia.com and is valid for Expedia.com U.S. customers only. Details: Insiders Select: The Ultimate List of the Worlds Best Hotels and Resorts only at Expedia.com. Based on more than 500,000 guest reviews submitted annually by our travelers, these 650 hotels were designated the 2013 worldwide award recipients. Details: Save Up To $525 When You Bundle Your Flight + Hotel Together. To See Savings On Package Mouse Over The Destination! Book Your Trip Today. Details: Treat Yourself to a Last-Minute Getaway & Save Up To 50% Off Your Stay! Choose from great hotels & vacation packages in your favorite cities! Hover Over Properties To See Savings! Details: Get The Citi Expedia World Master Card & Get Up To $100 For Opening Your Account After Your First Eligible Expedia Purchase! Plus Earn Thank You Points To Redeem For Great Rewards. See Site For Details. Only 3 Easy Steps To Apply. Details: Save Big Every Wednesday With The 24 Hour Sale! Find Great Saving On Select Hotels. See Site For Details. Details: Save up to 46% On A Resort Stay in Mexico with Expedia. Expires on 02/28/2014. Mobile Hotel Booking: 14% Off First Hotel Booking on Expedia App Only! Details & Exclusions: Valentine's weekend sale! Save 14% on your first hotel booking on the Expedia app! Book by 2/17/14 . Exclusions: Receive an instant 14% mobile coupon discount off a hotel stay using the Expedia® hotels app on a smart phone or tablet. How to redeem: Access the mobile app on your smart phone or tablet and select a qualifying hotel stay. On the checkout page, click on "Enter a coupon or promotion code", and enter the code: MOBILEHUG. Restrictions: Coupon must be redeemed on Expedia.com by 11:59 PM (Pacific Time) on February 17, 2014, for travel between now and February 17, 2014. Limit one (1) coupon per user account and per qualifying hotel booking. This offer is from Expedia.com and is valid for Expedia.com U.S. customers only. Customers affiliated with Expedia’s Travel Agent Affiliate Program are not eligible for offer. Coupon valid for eligible Expedia Rate Hotels only . Bookings subject to availability and all applicable terms and conditions. Coupon may not be used with other coupons, promotions or special offers. Coupon discount cannot be applied against taxes, supplier-charged fees, cancellation or change penalties, administrative fees or other miscellaneous charges, which are the sole responsibility of the customer. A coupon will be deemed fully used once a qualifying booking has been made and may not be reused. In the event that you change or cancel any part of your booking, the coupon will not apply to the changed travel schedule. Terms and conditions of this coupon are as written and cannot be changed by any representation of any unauthorized person, including employees of Expedia, Inc. Coupon is not transferable and is not redeemable for cash. Expedia, Inc. may revoke or change this offer at any time. Void where prohibited by law. Accor, All Seasons, Aloft, Adagio, Starwood, Amari Hotel and Resorts, Ana Hotels International, Angsana, Aston Resorts, Autograph Collection Hotels & Resorts, Anantara, Ascend Collection, Banyan Tree, Bulgari Hotels & Resorts, Choice, Cambria, Campanile, Candlewood Hotel, Carlson, Clarion, Comfort Inn, Comfort Suites, Conrad, Country Inn & Suites, Courtyard, Crown Plaza, Doubletree, Diamond Resorts, Econo Lodge, Edition, Element, Embassy Suites, Etap, Eviivo Small Hotels, Execustay, Fairfield Inn, Formule 1, Fairmont, Fortune Hotels, Four Points, Four Seasons, Furama, Gaylord Entertainment, Global Hotels & Resorts, Global Hyatt, Golden Tulip, Grand Mercure, Hampton Inn, Hesperia, Hilton Worldwide, Holiday Inn, Homewood Suites, Hotel Indigo, Ibis, Independent, Innside, Inter-Continental, Jolly Hotels, Kamath, Kyriad, La Quinta, Langham Hotels, Le Meridien, Loews, Louvre Hotels, Luxury Collection, M Gallery, MainStay Suites, Mandarin Oriental Hotel Group, Marriott International, Melia Hotels International, Mercure, MGM, Missoni Hotels, Movenpick Hotels & Resorts, NH Hotels, Novotel, Oberoi Hotels & Resorts, Omni, Orbis, Paradisus, Park, Pear Tree Inn, Premiere Classe, Pullman Hotels and Resorts, Quality, Quay West, Radisson, Raffles Intl Hotels and Resorts, Renaissance, Residence Inn, Ritz-Carlton, RIU Hotels, Rodeway Inn, Rosewood Hotels, Sandals Resorts, Sea Temple, Shangri-La Hotels and Resorts, Sheraton Hotel, Six Senses Resorts & Spas, Sleep Inn, Sofitel, Sol, Soneva, SpringHill Suites, St Regis, Starwood, Staybridge Suites, Suburban Extended Stay, Suite Novotel, Swiss Quality Hotels, Swissotel, Taj Hotels, Resorts & Palaces, The Gateway Hotels, The Peninsula Group, TownePlace Suites, Trident Hotels, Tryp Hotels, Tulip Inn, Vivanta by Taj, W Hotel, Waldorf Astoria, Westin, Vincci. This offer is from Expedia.com and is valid for Expedia.com U.S. customers only. Bookings are subject to availability at Expedia Rate hotels at the time of booking and all applicable terms and conditions. Coupon may not be used with other coupons, promotions or special offers. Coupon discount cannot be applied against taxes, supplier-charged fees, cancellation or change penalties, administrative fees or other miscellaneous charges, which are the sole responsibility of the customer. A coupon will be deemed fully used once a qualifying booking has been made and may not be reused. In the event that you change or cancel any part of your booking, the coupon will not apply to the changed travel schedule. Terms and conditions of this coupon are as written and cannot be changed by any representation of any unauthorized person, including employees of Expedia, Inc. Coupon is not transferable and is not redeemable for cash. Expedia, Inc. may revoke or change this offer at any time. Void where prohibited by law. Details & Exclusions: Save $25 off your hotel booking of $100 or more when you book on the Expedia app. Ends 3/31/14. Exclusions: Coupon must be redeemed on Expedia.com by 11:59 PM (Pacific Time) on March 31, 2014, for travel between now and March 31, 2014. Limit one (1) coupon per user account and per qualifying hotel booking. Most national brand chain hotels are excluded. We’re not able to offer coupons on some hotel brands due to agreements with the hotel brand. For a complete list of excluded chains see here: Accor, All Seasons, Aloft, Adagio, Starwood, Amari Hotel and Resorts, Ana Hotels International, Angsana, Aston Resorts, Autograph Collection Hotels & Resorts, Anantara, Ascend Collection, Banyan Tree, Bulgari Hotels & Resorts, Choice, Cambria, Campanile, Candlewood Hotel, Carlson, Clarion, Comfort Inn, Comfort Suites, Conrad, Country Inn & Suites, Courtyard, Crown Plaza, Doubletree, Drury, Diamond Resorts, Econo Lodge, Edition, Element, Embassy Suites, Etap, Eviivo Small Hotels, Execustay, Fairfield Inn, Formule 1, Fairmont, Fortune Hotels, Four Points, Four Seasons, Furama, Gaylord Entertainment, Global Hotels & Resorts, Global Hyatt, Golden Tulip, Grand Mercure, Hampton Inn, Hesperia, Hilton Worldwide, Holiday Inn, Homewood Suites, Hotel Indigo, Ibis, Independent, Innside, Inter-Continental, Jolly Hotels, Kamath, Kyriad, La Quinta, Langham Hotels, Le Meridien, Loews, Louvre Hotels, Luxury Collection, M Gallery, MainStay Suites, Mandarin Oriental Hotel Group, Marriott International, Melia Hotels International, Mercure, MGM, Missoni Hotels, Movenpick Hotels & Resorts, NH Hotels, Novotel, Oberoi Hotels & Resorts, Orbis, Paradisus, Park, Pear Tree Inn, Premiere Classe, Pullman Hotels and Resorts, Quality, Quay West, Radisson, Raffles Intl Hotels and Resorts, Renaissance, Residence Inn, Ritz-Carlton, RIU Hotels, Rodeway Inn, Rosewood Hotels, Sandals Resorts, Sea Temple, Shangri-La Hotels and Resorts, Sheraton Hotel, Six Senses Resorts & Spas, Sleep Inn, Sofitel, Sol, Soneva, SpringHill Suites, St Regis, Starwood, Staybridge Suites, Suburban Extended Stay, Suite Novotel, Swiss Quality Hotels, Swissotel, Taj Hotels, Resorts & Palaces, The Gateway Hotels, The Peninsula Group, TownePlace Suites, Trident Hotels, Tryp Hotels, Tulip Inn, Vivanta by Taj, W Hotel, Waldorf Astoria, Westin, Wyndham Worldwide, Vincci. This offer is from Expedia.com and is valid for Expedia.com U.S. customers only. Bookings are subject to availability at Expedia Rate hotels at the time of booking and all applicable terms and conditions. Coupon may not be used with other coupons, promotions or special offers. Coupon discount cannot be applied against taxes, supplier-charged fees, cancellation or change penalties, administrative fees or other miscellaneous charges, which are the sole responsibility of the customer. A coupon will be deemed fully used once a qualifying booking has been made and may not be reused. In the event that you change or cancel any part of your booking, the coupon will not apply to the changed travel schedule. Terms and conditions of this coupon are as written and cannot be changed by any representation of any unauthorized person, including employees of Expedia, Inc. Coupon is not transferable and is not redeemable for cash. Expedia, Inc. may revoke or change this offer at any time. Void where prohibited by law. Details & Exclusions: Save $25 on your first hotel booking on the Expedia app of $100 or more. Travel between now to 3/31/2014. Terms and conditions apply. Book by 2/23/14. Exclusions: Receive an instant $25 mobile coupon discount off a hotel stay using the Expedia® hotels app on a smart phone or tablet. The price of the qualifying booking must be at least $100 before taxes and fees. How to redeem: Access the mobile app on your smart phone or tablet and select a qualifying hotel stay. On the checkout page, click on "Enter a coupon or promotion code", and enter the code: MOBILEXOXO. Restrictions: Coupon must be redeemed on Expedia.com by 11:59 PM (Pacific Time) on February 23, 2014, for travel between now and March 31, 2014. Limit one (1) coupon per user account and per qualifying hotel booking. This offer is from Expedia.com and is valid for Expedia.com U.S. customers only. Customers affiliated with Expedia’s Travel Agent Affiliate Program are not eligible for offer. Coupon valid for eligible Expedia Rate Hotels only . Bookings subject to availability and all applicable terms and conditions. Coupon may not be used with other coupons, promotions or special offers. Coupon discount cannot be applied against taxes, supplier-charged fees, cancellation or change penalties, administrative fees or other miscellaneous charges, which are the sole responsibility of the customer. A coupon will be deemed fully used once a qualifying booking has been made and may not be reused. In the event that you change or cancel any part of your booking, the coupon will not apply to the changed travel schedule.Terms and conditions of this coupon are as written and cannot be changed by any representation of any unauthorized person, including employees of Expedia, Inc. Coupon is not transferable and is not redeemable for cash. Expedia, Inc. may revoke or change this offer at any time. Void where prohibited by law. Details: Get Amazing hotel and package savings for your Mexico getaway. Expires on 11/30/2014. Details & Exclusions: Get Free nights in Bermuda (on minimum 3 night booking). Ends 4/25/14 Exclusions: Three night minimum stay required and offer available only on certain room categories depending on Participating Hotel’s terms and restrictions. See Participating Hotel’s terms on Participating Hotel’s website, which is linked to above, for terms and restrictions. Advertised Rates are based on the best available average daily rate. Offer is available for new bookings only and valid only at participating hotels- 3rd night free: Clearview Suites, Fairmont Hamilton Princess Hotel, Fairmont Southampton Hotel, Grotto Bay Beach Hotel, Newstead Belmont Hills Hotel, Rosewood Tuckers Point Resort; 4th night free: Cambridge Beaches, Pompano Beach Club; 5th night free: Rosedon Hotel, Royal Palms Hotel. This offer must be booked between 1 November 2013 - 25 April 2014 and is valid for travel between 1 December 2013 - 30 April 2014. One free night per booking. Rates are based on single/double occupancy, extra person charges are additional. The free night is applied to the package pricing at time of purchase. The consumer is responsible for paying the hotel for the room, tax, gratuities and levy less the applicable free night. Seasonal surcharges, meals plans, extra person rates, tax or service charges may increase the advertised price. Offer is based on availability. Blackout dates may apply. This offer is not available to groups and can be combinable with other offers and promotions, however this is up to the individual hotel. Standard cancellation policies apply. Details: Get a Free Night in Bermuda. Expires on 04/25/2014. Details: Get Up to 50% Off Hotel Stays in Japan with Expedia. Expires on 02/28/2014. Details: Get Instant $200 savings on $600 flight+hotel purchases to Mexico. Expires on 11/30/2014. Details: Book Great Winter Getaways. Expires on 02/28/2014. Details: Save On Your Perfect Winter Vacation. Expires on 02/28/2014. Details: Save $100 on Your Custom Dream Vacation. Expires on 03/23/2014. Details & Exclusions: Get up to 30% off Select Walt Disney World Resort Hotels. Exclusions apply. See merchant site for details. Travel between 02/24/2014 to 06/15/2014. Ends 03/31/2014. Exclusions: Offer excludes campsites, Disney’s Art of Animation – Little Mermaid Standard View, Villas at Disney’s Grand Floridian, and 3-bedroom villas. Details: Find The Top Coupon Codes & Offers On Hotels, Flights, Vacation Packages & Much More. Find Your Savings Today! Details: Save up to 40% on Hawaii Vacations at Marriott resorts. Expires on 11/30/2014. Details: Get Up to 60% Off Sun and the Sand. Expires on 03/31/2014. Details: Save up to 30% On Your Great Britain Vacation with Expedia. Expires on 03/16/2014.